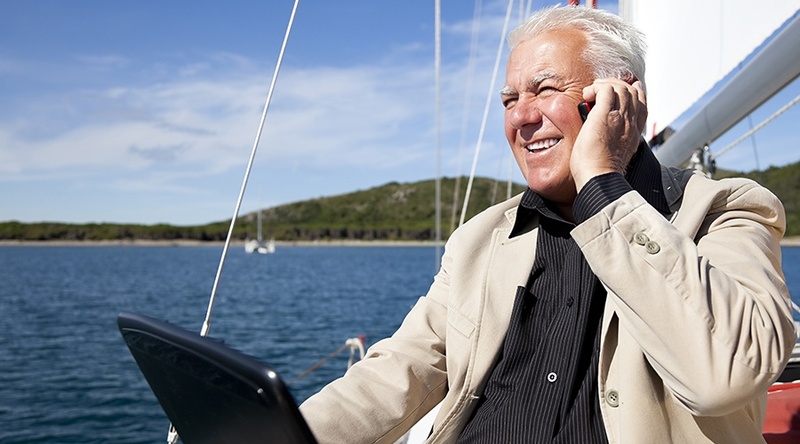 How do you keep your roaming costs as low as possible? With more people travelling and working on the go using mobile devices, do you know what mobile roaming is and how to keep your roaming charges as low as possible? When you travel abroad you are classed as ‘roaming’ and using your mobile device outside your home country you are ‘mobile roaming’ and will incur ‘roaming charges’. Being outside your home country your phone will lose its network signal and will ‘roam’ to find another network you can use instead. Using another network oppose to your own is how roaming charges are incurred. Roaming charges are traditionally charged per minute and are decided by the network provider themselves. Within the EU price caps have now been introduced for roaming rates and networks cannot charge any more than 24.5p per minute for calls, 8.1p for sending a text message and 46p per MB for data usage.1 Outside the EU there are no set prices for roaming charges meaning the rates tend to be much higher, especially data roaming charges. There are many steps you can take to keep your roaming costs minimal when travelling, but bear in mind using your mobile device abroad will inevitably incur some charge. Travelling for pleasure do you really need to use your phone? Consider switching your data roaming off before you travel which is simple and will ensure you don’t incur data charges without realising. An option used by many is buying a bolt on to your contract for the month you travel, but if you travel regularly this could be an expensive option. Other users opt to buy a local sim for the country they are in, but remember dialling UK numbers will still be costly compared to local numbers. If you may occasionally need Wi-Fi most hotel receptions, cafes and bars normally offer Wi-Fi for free or a small charge. All users that travel should be aware of data charges. Data charges can be incurred by just having your phone switched on and receiving emails. All network providers have to apply a cut-off limited once you have used €50 (ex VAT) of data per month wherever you travel.2 To continue using data after this you would have to opt out of the limit, however from many horror stories we have seen in the UK press many people are not always aware of what they are opting out of. There are many hints and tips we can offer for reducing your roaming charges, but for many business users that travel they need full use of their mobile devices. Business users bills can run into the £hundreds sometimes £thousands depending on where they travel and how they use their devices. A recent RoamingExpert client needed to update their iPads in Paris and therefore incurred data roaming charges. In carrying out these updates the client incurred two bills from o2, one for £11,000 and the second for £14,000 for using between 2.5 and 3.5GB of data! With RoamingExpert the client was provided a 6GB data plan for £450 per month – a huge saving. Our client example shows how easy it is to not be in control of your roaming charges with many companies still incurring huge mobile roaming bills. Make sure your business’s mobile plan reflects your activity so you don’t fall victim to bill shock!